Today I went to Singapore Zoo with my family, we were all excited. I was particularly looking forward to seeing what my tiny sister would make of it all. So, so green! It’s known as a “tropical rainforest” Zoo and it certainly feels that way! Variety; everything from turtles from Vietnam (one of my faves!) to zebras and wild cats. There was so much to see. The Elephant show was great – they are so willing and clever. But on the other side of the coin it is essentially “elephants doing tricks” – this can be a hard fact to stomach but from what I could see they looked happy and loved. They also provide great opportunities for children to learn. The Cheetah pen looked small, so did the Lion’s den but I’m assuming they were deemed legally big enough or they wouldn’t be there at all. We saw an Orangutan being walked in at the end of the day. It was carrying a baby under its belly and put his hand up to hold the hand of his keeper. It was so cute, a really touching moment and I think it perfectly summed up the day we had seen; wild animals being looked after by humans and appearing to be quite content with that fact. 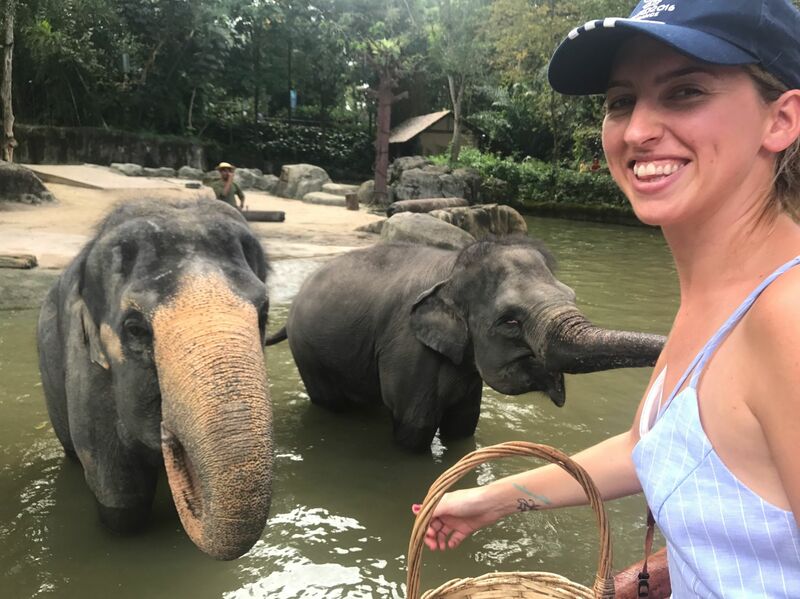 That was the sense I got from Singapore Zoo – the animals are obviously well cared for and (from what I could see) looked healthy and well fed. If you ever get the chance to go yourself, please do – I’m sure you will have lots of magic moments and you will learn so much on you way around too. It’s a huge complex with a lot of walking (in the stifling heat!) so wear comfy shoes and clothes (plus a cap!) to keep the Singers sun at bay. We spent around 4 hours and still didn’t see it all – if you go, make a day of it and don’t miss a thing!